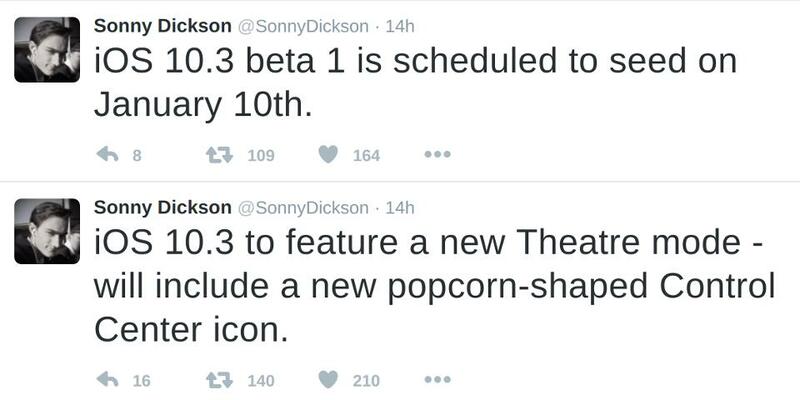 iOS 10.3 Beta 1 “Erie” Scheduled to Seed Starting January 10, 2017, Theatre Mode Coming! Apple is going hammer and tongs with iOS 10. A mere three weeks after Apple stopped signing iOS 10.1.1 and getting everyone to move to iOS 10.2, Apple will start seeding the first beta for iOS 10.3 on January 10, 2017 – exactly 9 days from today. 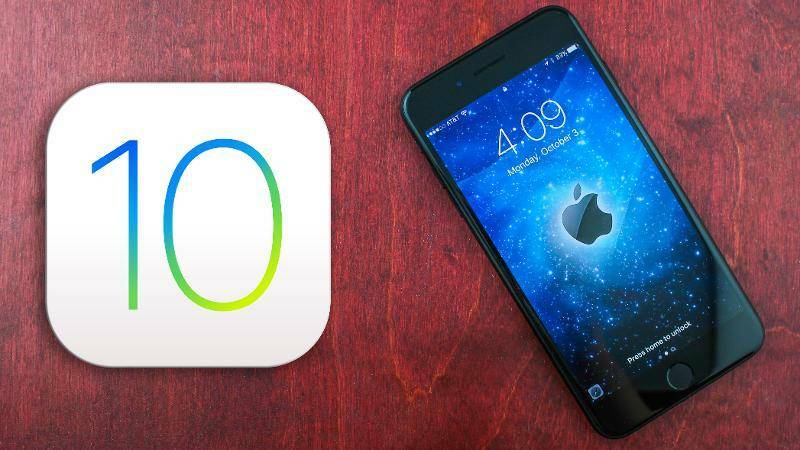 While the jailbreaking community is still celebrating the (partial) success of the iOS 10.1.1 jailbreak from Luca Todesco, and awaiting the iOS 10.2 jailbreak indicated by hacker Stefan Esser a few days ago, Apple is already gearing up to release iOS 10.3 to developers in its first beta form, and the codename for iOS 10.3 is “Erie”. One of the biggest features we know that’s coming with iOS 10.3 is Theatre Mode. Essentially, the popcorn-shaped icon should take you to a new version of Dark Mode that’s ideal for use inside a movie theatre. Assuming that’s what it’s for, it will immediately dim the screen and mute all notifications so the phone doesn’t disturb the people around you. That said, it’s never a good idea to use a smartphone inside a theatre, so what could Apple be thinking? Or perhaps it’s just a viewing mode for when you’re watching videos on your iOS device? That seems to be the more likely explanation, we think. For now, there will be a conflict of interest where iOS 10.3 is concerned because iOS 10.2.1 is currently in its second developer beta as of now. That could mean we’ll see a stable channel drop for iOS 10.2.1 very soon, as a precursor to the first beta of iOS 10.3. There’s far more interest in iOS 10.2 and iOS 10.2.1 right now from both a user and a developer perspective. As such, it’s not clear why Apple is aggressively pushing its beta agenda in this back to back manner. Could iOS 10.3 be a sign of what to expect when iPhone 8 comes out later this year? Is Apple merely trying to shut the door on jailbreaking by adding more and more security layers to iOS 10.x? Are they trying to stay ahead of the curve and intending to bring in a lot more than just Theatre Mode on iOS 10.3? These are questions for Apple to know the answers to and us to merely speculate. Until a stable version of iOS 10.2.1 drops, we’ll just have to assume that one will come before January 10, when the beta 1 of iOS 10.3 starts to seed. Whatever the case, if you’re a jailbreak enthusiast, do save your shsh2 blobs for both iOS 10.2 and iOS 10.2.1 while Apple is still signing them. It’ll come in handy if an iOS 10.2.x jailbreak does come this year – something a lot of us were disappointed with in 2016. You can later use tihmstar’s Prometheus tool to downgrade/upgrade to the required OS version even if Apple subsequently stops signing them.